Hemingways are ill prepared for the hard-drinking, fast-living, and free-loving life of Jazz Age Paris. As Ernest struggles to find the voice that will earn him a place in history and pours himself into the novel that will becomeThe Sun Also Rises,Hadley strives to hold on to her sense of self as her roles as wife, friend, and muse become more challenging. Eventually they find themselves facing the ultimate crisis of their marriage—a deception that will lead to the unraveling of everything they’ve fought so hard for. 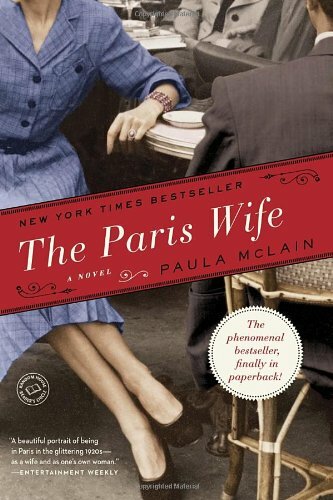 A heartbreaking portrayal of love and torn loyalty,The Paris Wifeis all the more poignant because we know that, in the end, Hemingway wrote that he would rather have died than fallen in love with anyone but Hadley. NEW YORK TIMESBESTSELLER WINNER—BEST HISTORICAL FICTION—GOODREADS CHOICE AWARDS NAMED ONE OF THE BEST BOOKS OF THE YEAR BYPeople•Chicago Tribune •NPR •The Philadelphia Inquirer • Kirkus Reviews • The Toronto Sun • BookPage Look for special features inside. Join the Circle for author chats and more.